Paris. Lion Air President Rusdi Kirana confirmed on Monday that the airline was ordering 234 Airbus jets to be delivered from 2014 to 2026 worth $24 billion. "We are going to buy different kinds, but mostly the Airbus A320neo, [we ordered] 174 units of that," he told reporters in Paris ahead of the expected signing of the record deal. The more fuel-efficient and eco-friendly Airbus A320neo has a price tag of more than $100 million. The Airbus website says it has "a 15 percent reduction in fuel consumption, two tonnes of additional payload, up to 500 nautical miles of more range, lower operating costs, along with reductions in engine noise and emissions." The first six planes will be delivered around the middle of 2014 and will be used for a new airline that the company will establish to service the Asia-Pacific market. "With the new Airbus jets, we are going to have two airlines operating in Asia-Pacific countries. There are two ways of doing this — either we set up a completely new airline or we purchase an existing airline that needs funding," he said, adding that Lion Air had not yet decided on the countries it would have the new airline in. The purchase, he added, would be funded almost entirely by export credit agencies from France, Germany and England. Lion Air would be a new client for Airbus as it has previously been equipped almost exclusively by US rival Boeing. In 2011, the Indonesian carrier signed a record $22.4 billion deal for 230 Boeing 737 airliners, which was also funded by the Ex-Im Bank. The Lion Air order marks at least the third attempt by Airbus to woo Lion Air, long seen as a fortress for Boeing. It is likely to throw the spotlight on an intense battle for market share between the largest planemakers. "Of course [Airbus] approached us. They need us, as buyers we are king," Rusdi said. The order is also likely to add zest to a regional battle for supremacy between Lion Air and AirAsia, the low-cost carrier founded by Malaysian entrepreneur Tony Fernandes. The airlines are respectively among the top buyers of Boeing and Airbus jets. Airlines rarely switch suppliers because of re-training costs and the burden of keeping extra spares, but the practice of "flipping" has grown as market share battles raged. 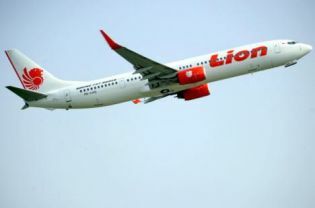 Edward Sirait, Lion Air's director for general affairs, said there was no problem with Lion Air having both Boeing and Airbus planes in its fleet. 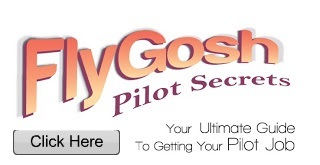 "There is no law that states airlines can only use one kind of aircraft. And we are expanding and Indonesia is a growing market," he said.